Paulo Younse is a robotics engineer at NASA’s Jet Propulsion Laboratory located in Pasadena, Calif. and is an expert on NASA’s newest Mars rover, Curiosity. In this NASA Now classroom video he talks about how each mission to Mars is determined by the information gained from previous missions. He explains how scientists and robots work together using the scientific method of research. This video is available on the NES Virtual Campus beginning Apr. 11. The NASATalk NXT Tweetup will provide a light introduction for those new to Twitter, while at the same time presenting several NXT robotics resources for use in classroom or informal education settings, on Monday-Friday, April 9-13, from 4-5 p.m. EDT. This event focuses on NXT robotics questions, answers and comments being addressed within the activities presented in the Group Activities on the NASATalk NXT Tweetup website. •	Circles, Ratios and Robot Navigation. •	Decibel Detection (Using Sound Sensor). •	Rocker Bogie Rover Wheel System. •	Gear Ratios Applied to Robots. For more information, including a short file with Twitter instructions, see https://www.nasatalk.com/collaboratives/robotics/nasatalk-nxt-tweetup.html. If you’re on Twitter, follow @NXTtweetup. One tweet will be added every 15 minutes during the event. •	Meri Cummingsabout appropriate activities and the Tweetup schedule. •	Kendyl Morrisabout creating a Twitter account and tweeting. •	Chris Ruckmanabout using NASATalk. Sandeep Yayathi works on Robonaut, a dexterous humanoid robot built and designed at NASA’s Johnson Space Center in Houston. 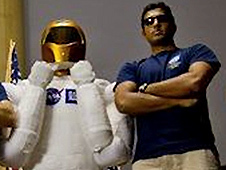 On April 4, 2012, from noon – 1 p.m. EDT, Yayathi will answer student questions about his work with Robonaut, his career path and what the future holds for robotics. Robonaut 2, or R2, launched to the International Space Station on space shuttle Discovery as part of the STS-133 mission. It is the first dexterous humanoid robot in space and the first U.S.-built robot at the space station. Yayathi is developing a new power system including a battery backpack to allow Robonaut 2 to move about freely without having to be plugged into the space station’s power grid. Eventually, the new power system will allow an upgraded version of the robot to work outside the station. Submit questions during the chat through a chat window, or email them to NASA-Explorer-Schools@mail.nasa.gov. 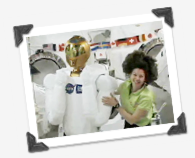 For more information and to view the video chat, visit https://www.nasa.gov/offices/education/programs/national/nes2/home/robonaut-chat.html. In a challenge simulating planetary exploration, tabletop-size robots must perform different tasks within two minutes. The tasks include placing sensors in volcanoes, deploying habitats and rescuing a stranded “moon buggy,” or small robot. This robotic competition aims to excite and engage students in science, technology, engineering and mathematics. Sixteen student teams from nine elementary, middle and high schools will put their software-enabled, battery-powered LEGO robots against the clock in the 5th Annual Southern California Robotics Competition at NASA’s Jet Propulsion Laboratory in Pasadena, Calif., on Tuesday, March 15, 2011. Involve your students in the competition by watching the broadcast live on the Web from 12:15 to 3:15 p.m. PDT. 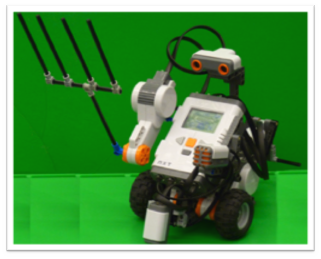 You are invited to send in advance your students’ questions about careers in robotics to jplspaceeducation@gmail.com. During the career talk portion of the live program, NASA/JPL robotics engineer Paulo Younse will answer some pre-submitted questions. All questions must be received by Friday, March 11. Questions should be along the lines of “careers in robotics.” Please include either the student’s first name only or school name.